So often, pastors are defined by external forces, rather than by the essential nature of the pastoral leader as modelled in scripture. 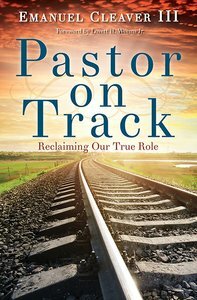 Taking positive steps to put "pastors on track," author Emanuel Cleaver III draws on his own experiences, and from dynamic and effective pastors and churches across the country. He presents biblical models to distil his message and to recalibrate the definition of what makes the best church leaders. Pastor on Track helps clergy reframe their congregation's expectations and to empower them to do the work of the people, so the pastor can do the work of the pastor.